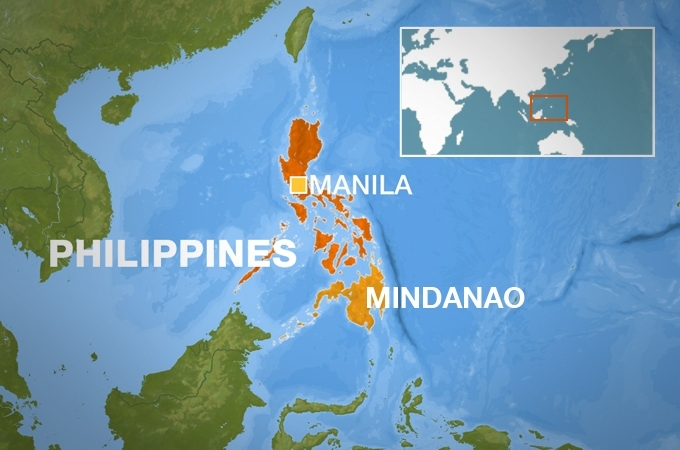 A magnitude 6.9 earthquake struck off the Philippine island of Mindanao on Saturday, triggering a tsunami warning. Small waves should hit southern parts of the country and neighboring Indonesia. The quake hit deep southeast of Davao City According to the US Geological Survey, a week after a volcano-triggered tsunami, more than 400 people were killed in Indonesia. The Pacific Tsunami Warning Center said that "dangerous tsunami waves from this earthquake are possible on the coasts of Indonesia" and the Philippines. However, it was predicted that the waves would be less than 30 cm high, while Philippine observers warned that "minor disturbances of the sea level" were to be expected. "It is advised to keep away from the beach so as not to go to the coast off the Philippine Sea," said the Seismological Office of the Government of the Philippines in its tsunami warning for about two hours. " " Cities in the south of the country moderately felt "fairly strong shaking, but the civil defense authorities in the affected areas said they have no immediate reports of damage or loss from the earthquake." According to USGS, the likelihood of accidents and damage was low, though The area had caused landslides. The Philippines and Indonesia are located on the so-called Ring of Fire, a vast region of the Pacific Ocean where many earthquakes and volcanic eruptions occur. 3, a magnitude 7.1 earthquake hit more than 220 people kills and destroys historic churches on the central islands. Indonesia was hit by two major tsunamis this year. Over 400 people were killed last weekend after a volcano erupting. Anak Krakatoa unleashed a deadly wave that hit the shores of the western island of Java and southern Sumatra. An earthquake tsunami in September killed around 2200 people in Palu on the island of Sulawesi, with thousands more missing and probably dead.